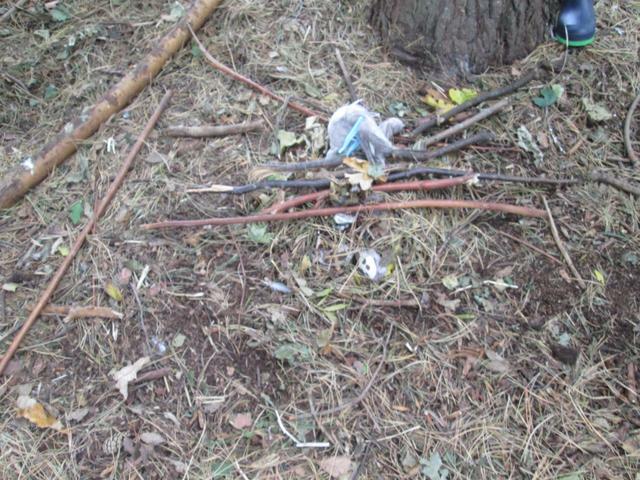 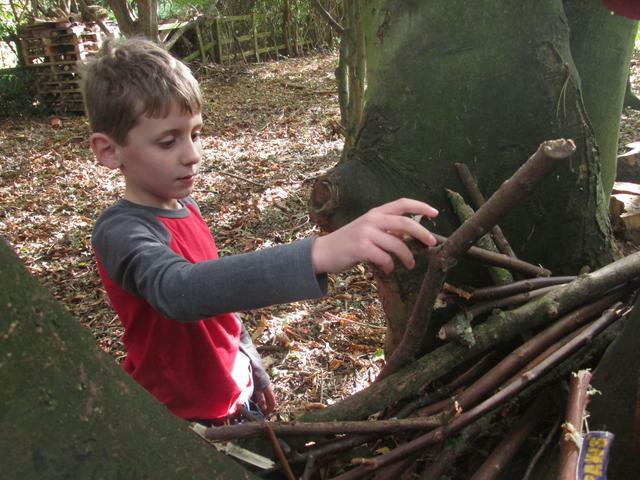 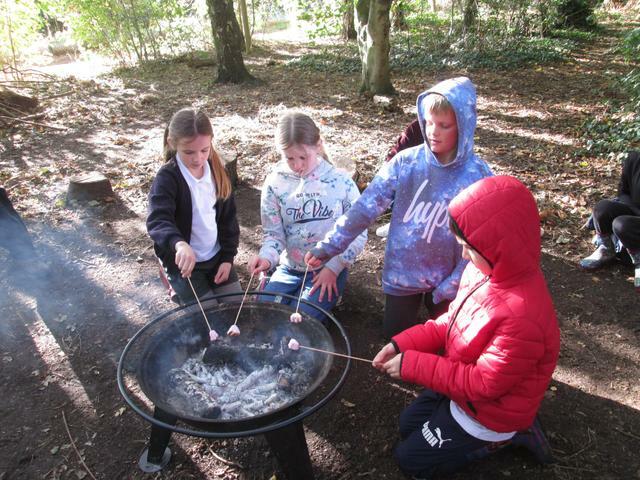 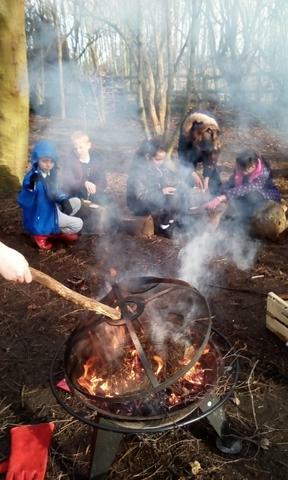 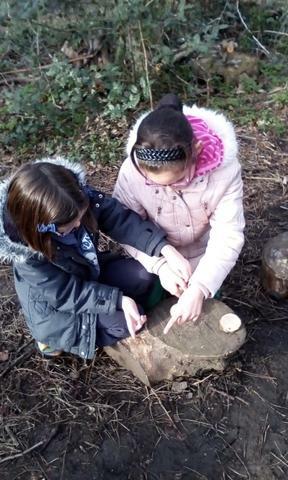 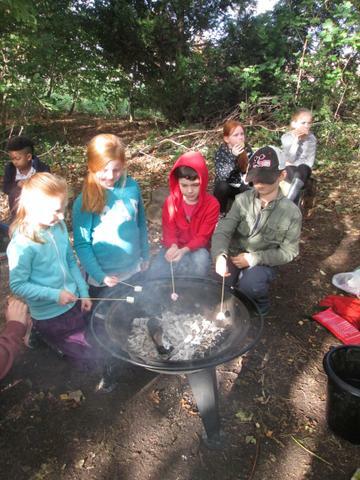 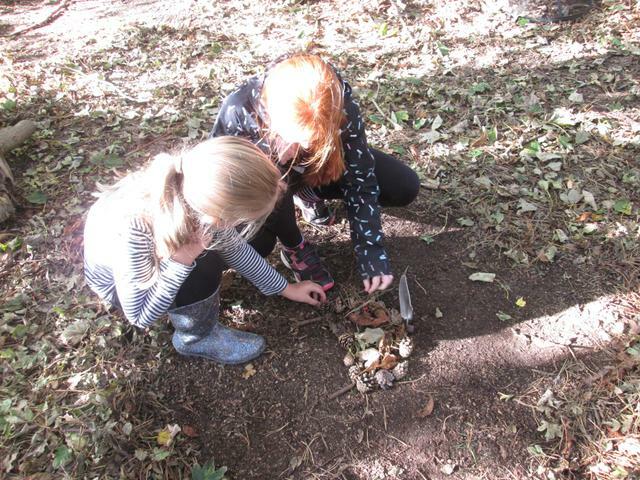 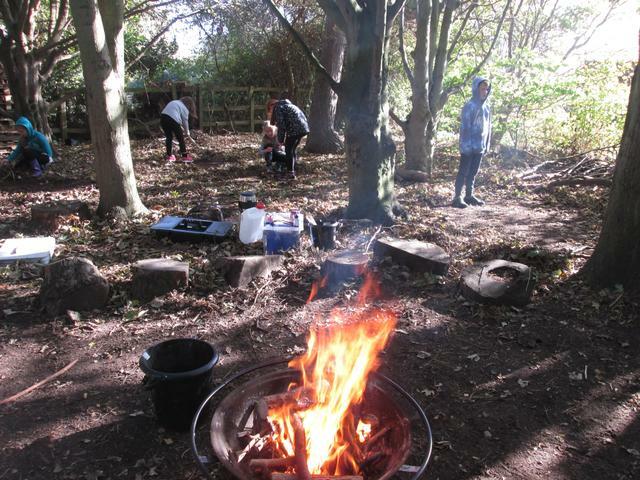 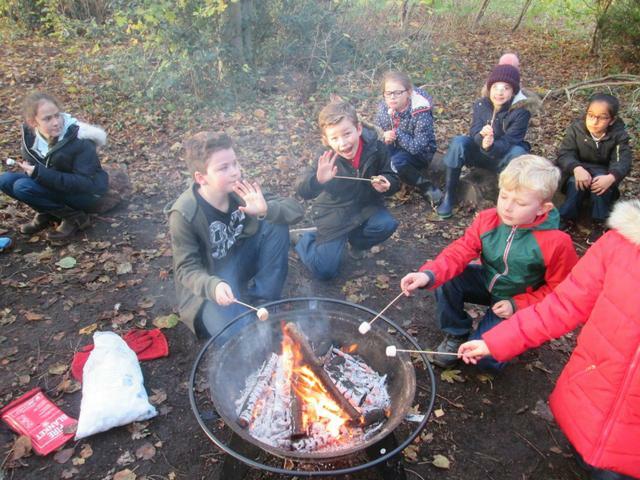 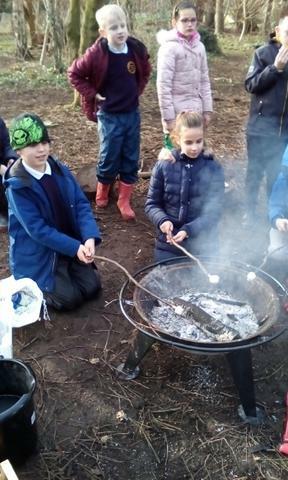 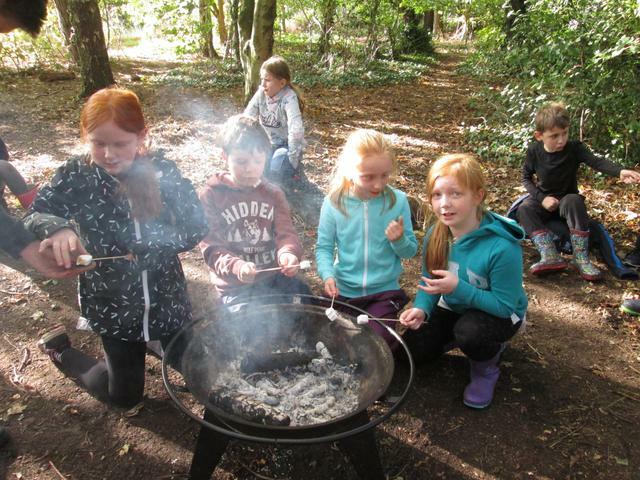 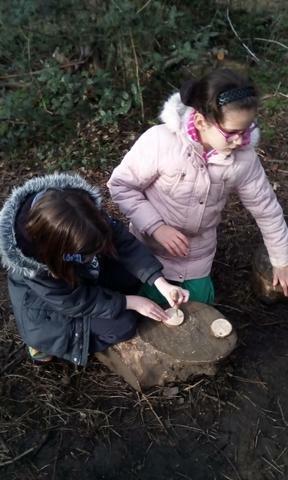 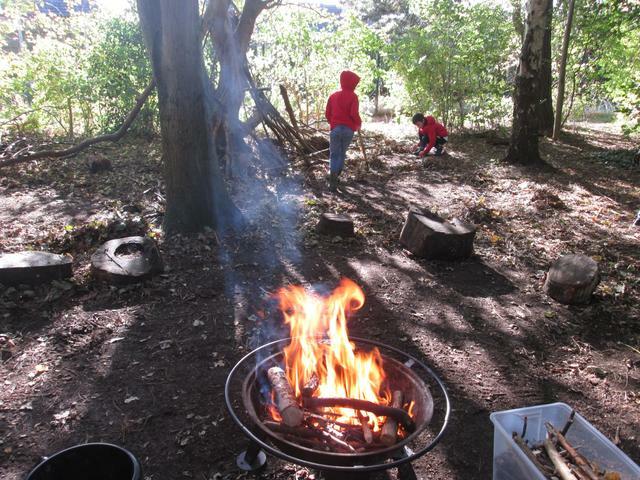 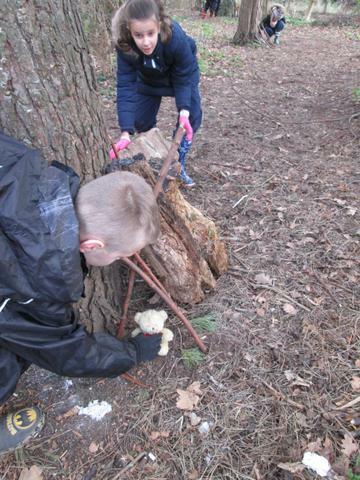 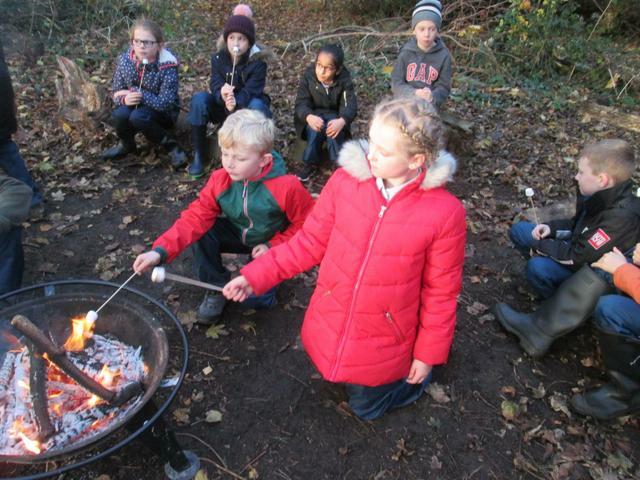 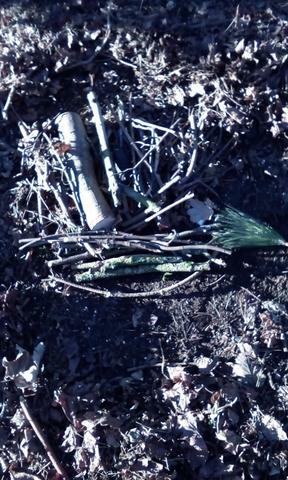 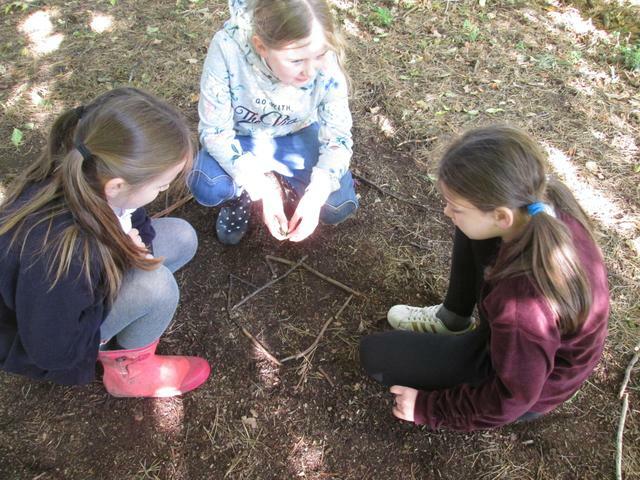 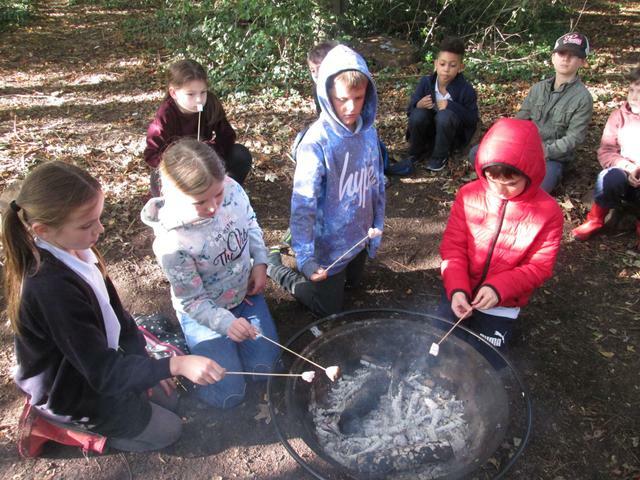 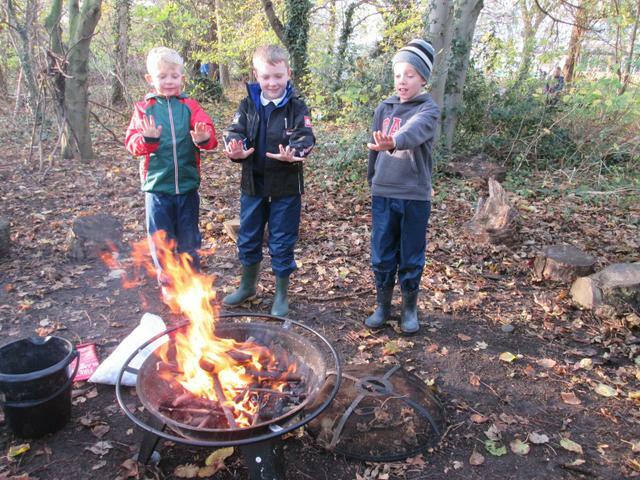 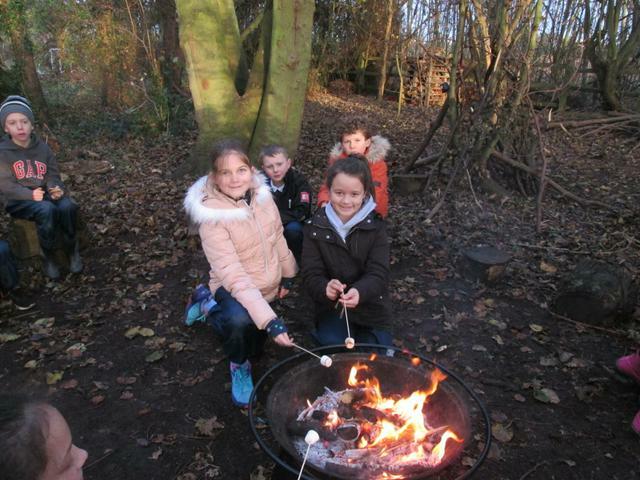 On Monday during 4A Group 2’s last Forest School, the children enjoyed building a fire and toasting marshmallows. 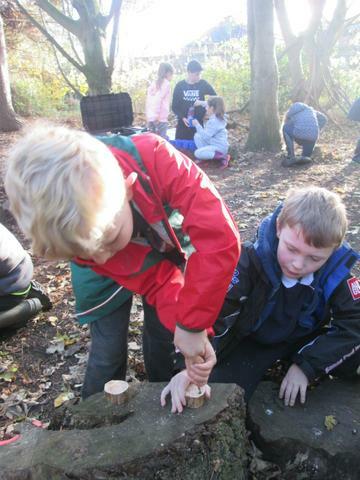 They also used hand drills and bow saws to create medals. 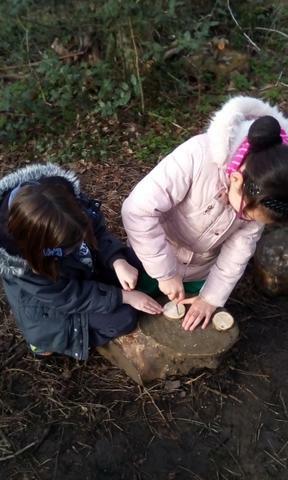 This week's session involved some of the children using bow saws to start creating medals and using natural materials to create pictures. 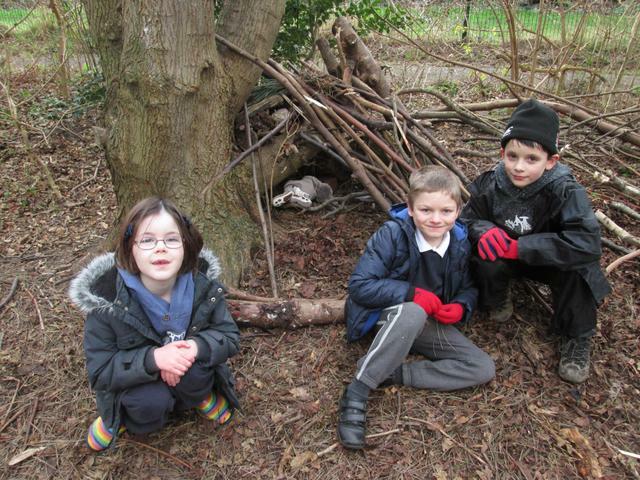 The children enjoyed making animal shelters. 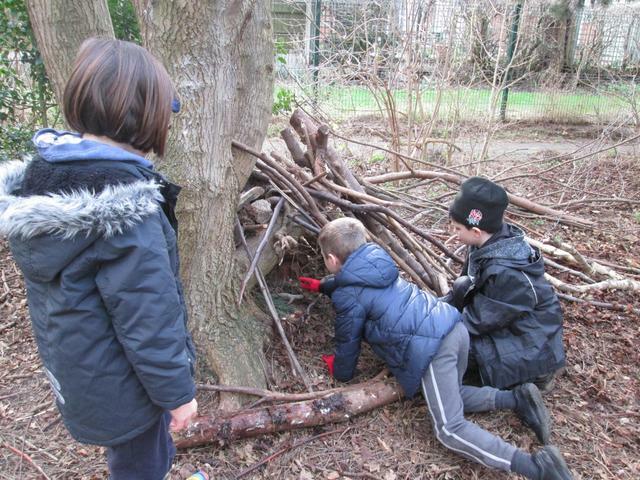 4A enjoyed building shelters and then they tested them to see if their whole group could fit inside to shelter from the wind and rain. 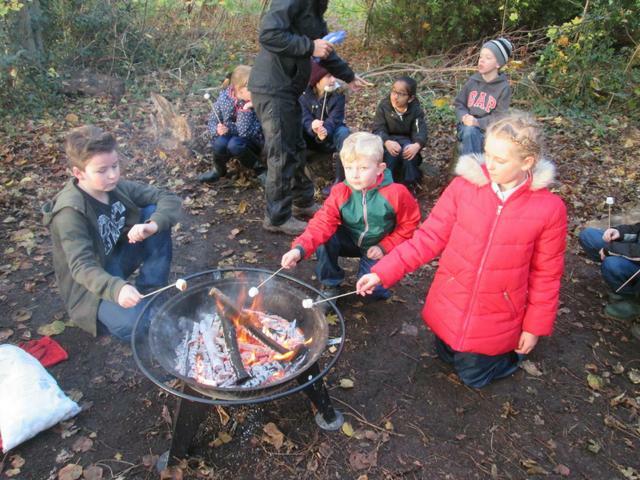 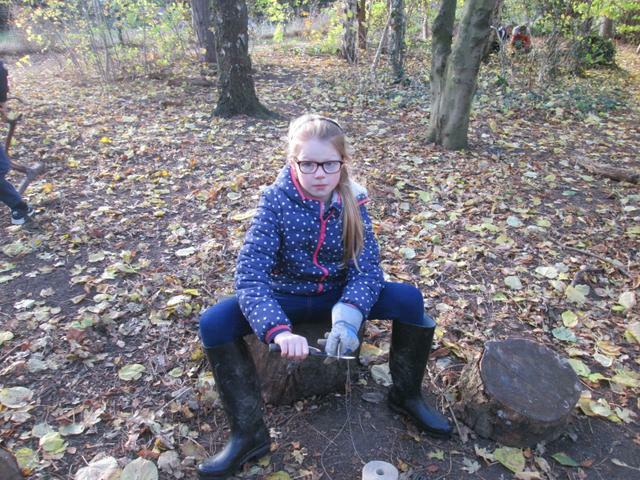 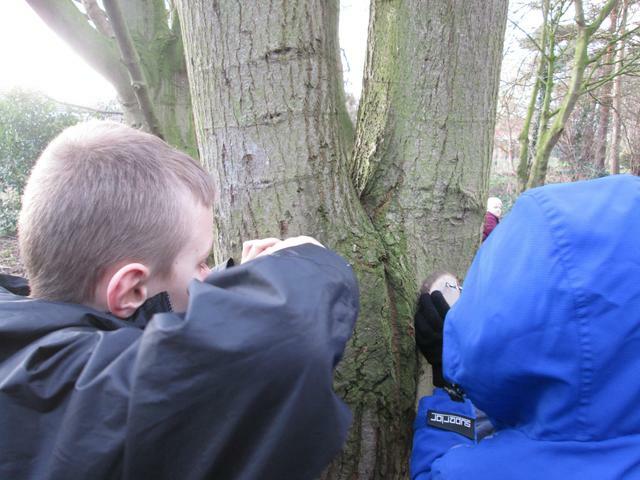 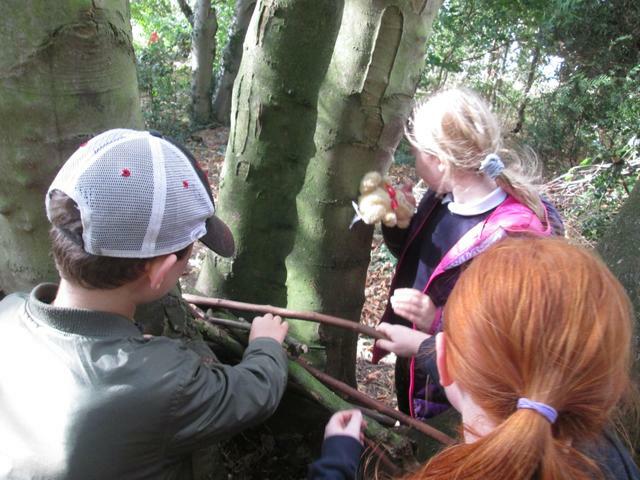 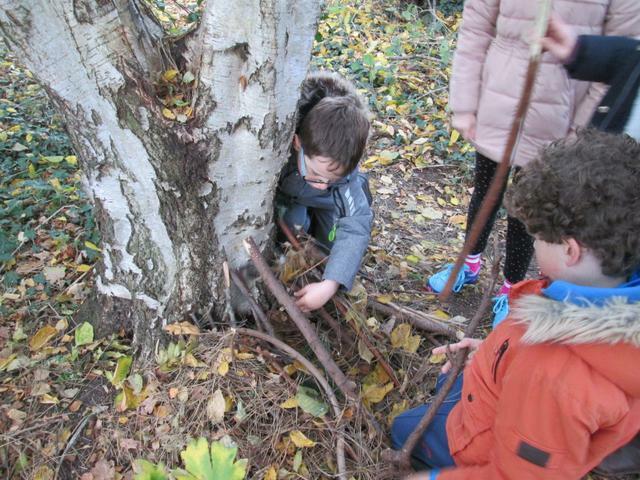 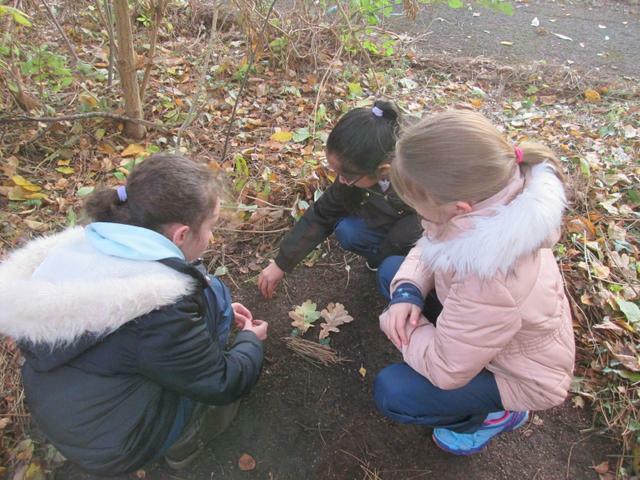 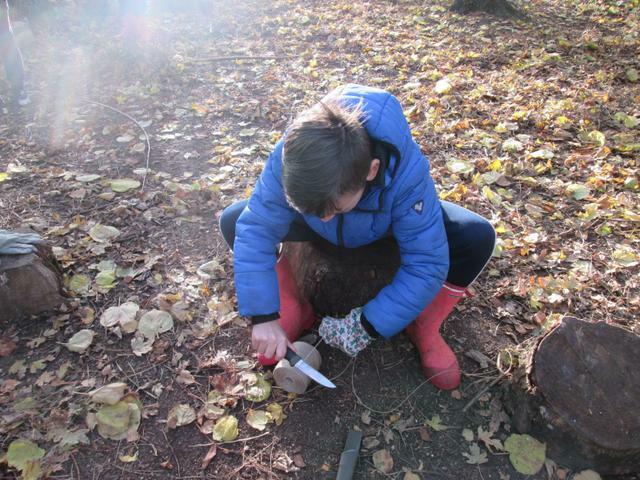 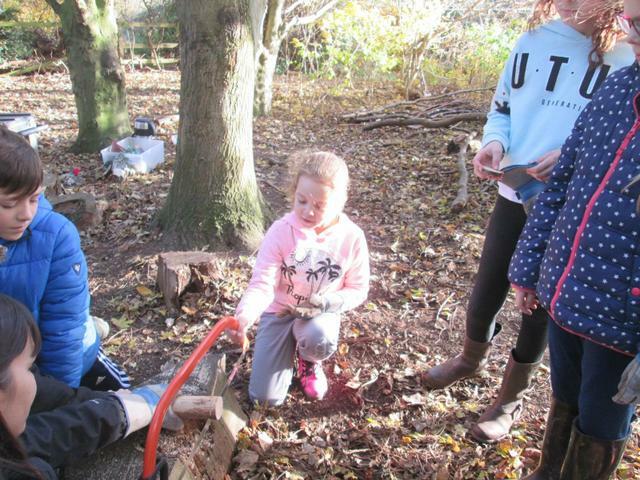 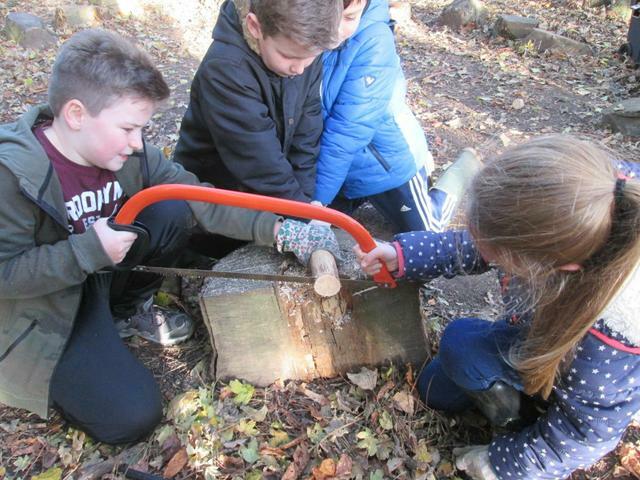 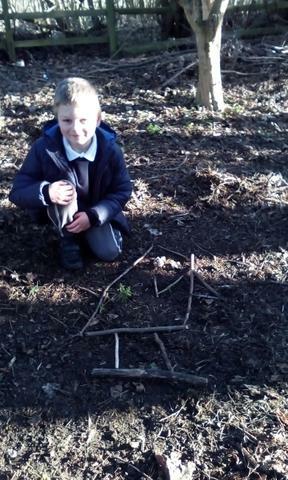 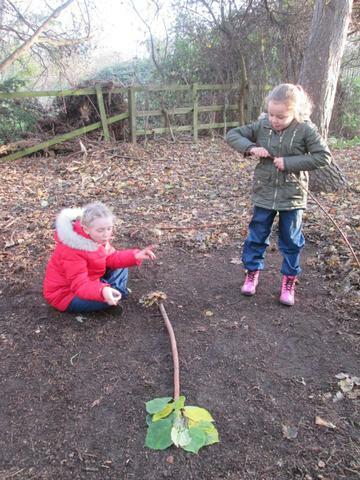 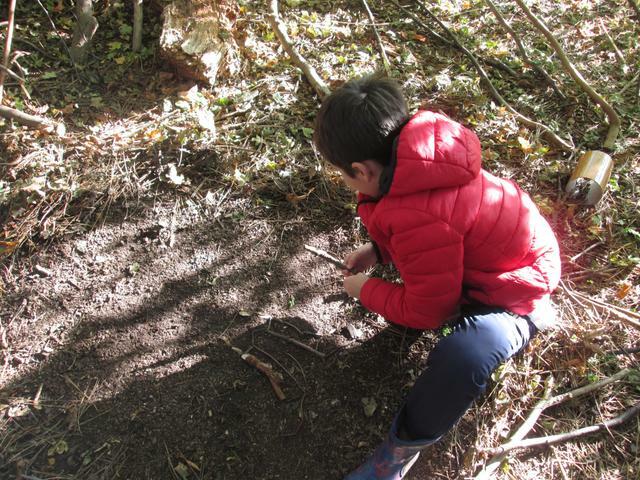 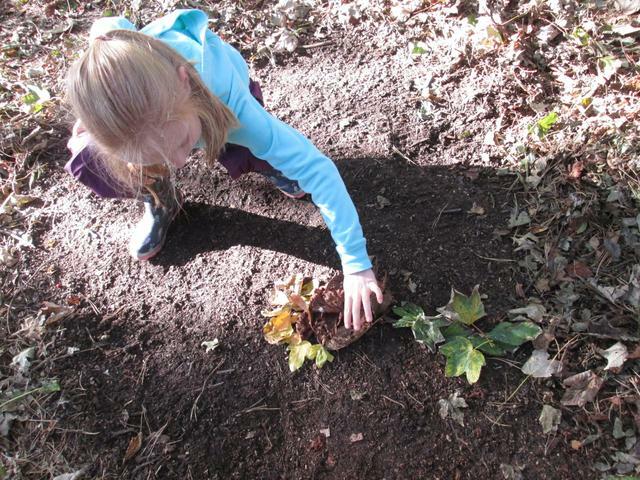 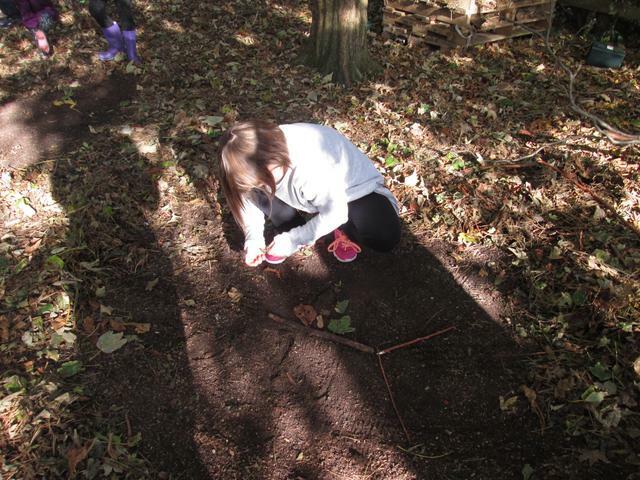 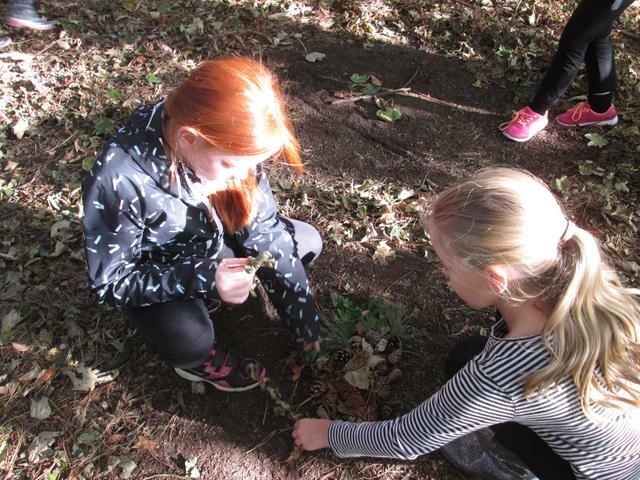 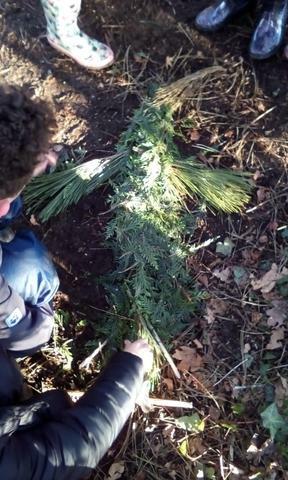 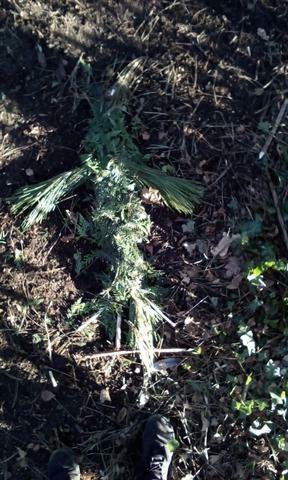 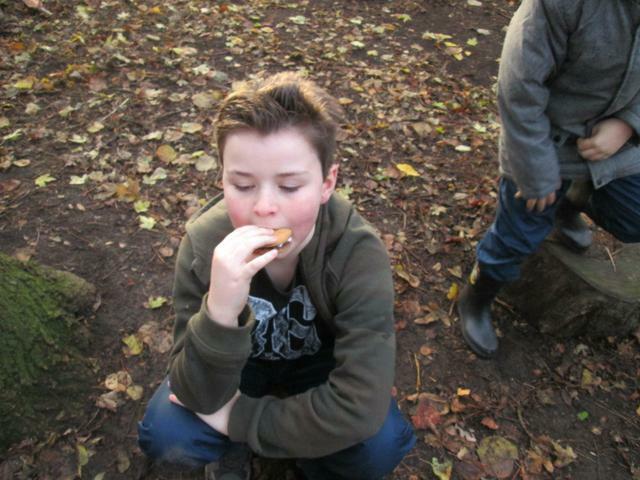 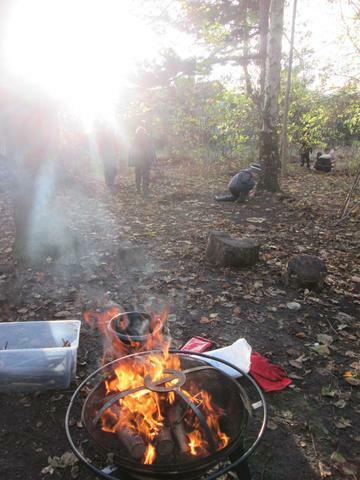 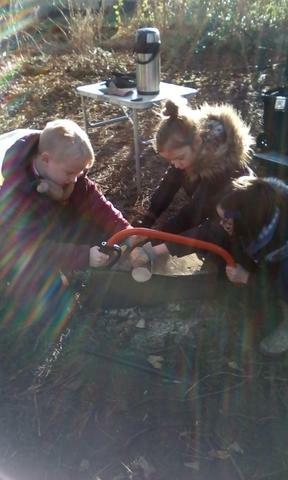 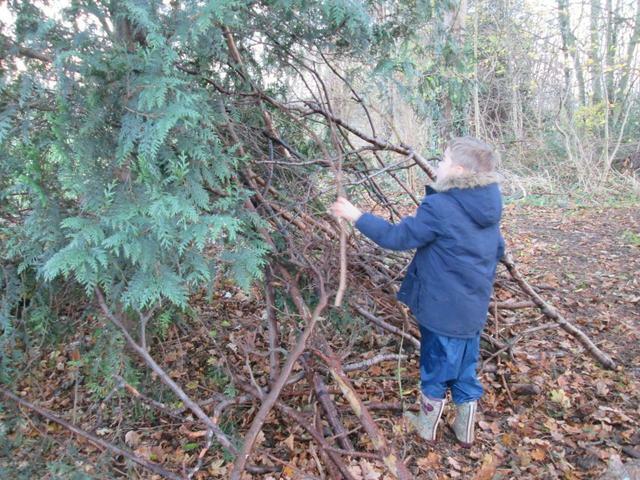 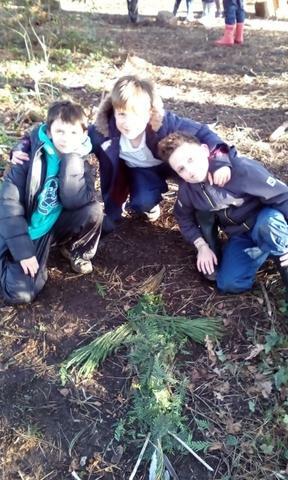 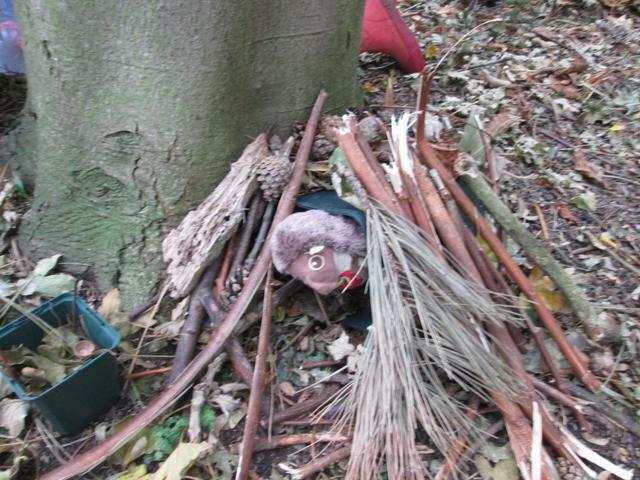 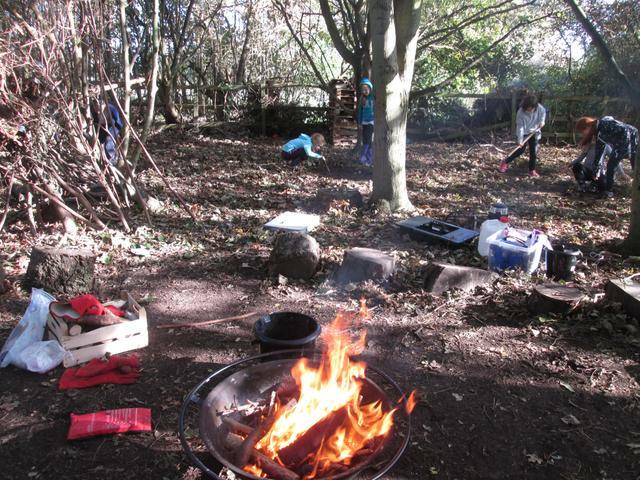 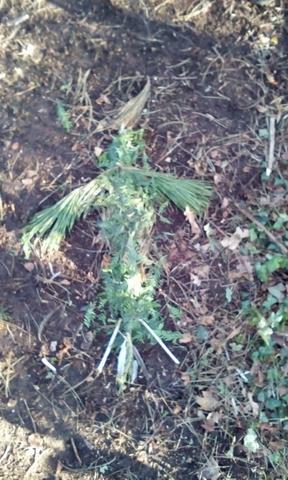 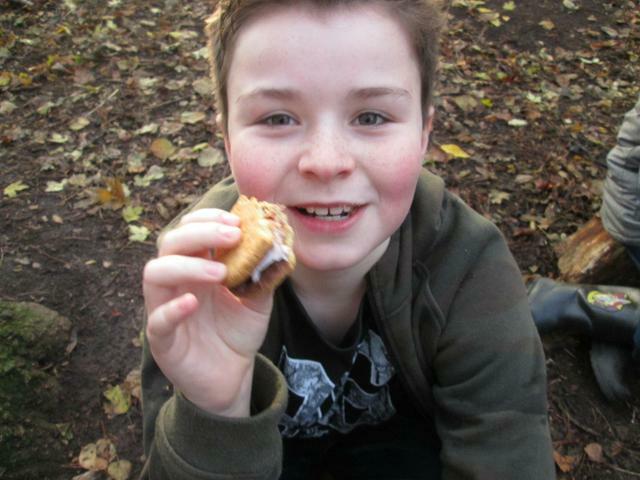 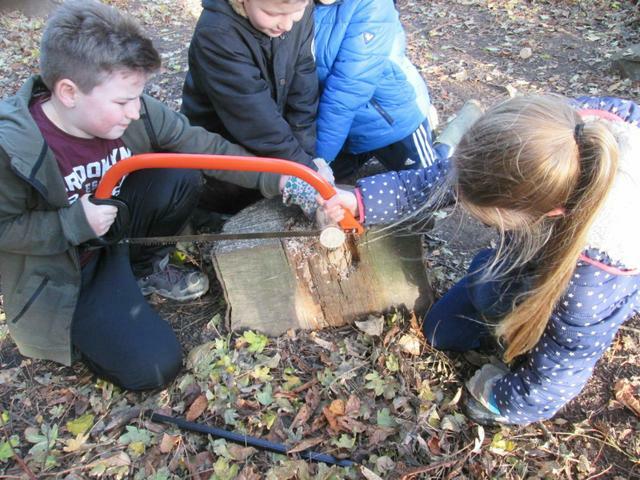 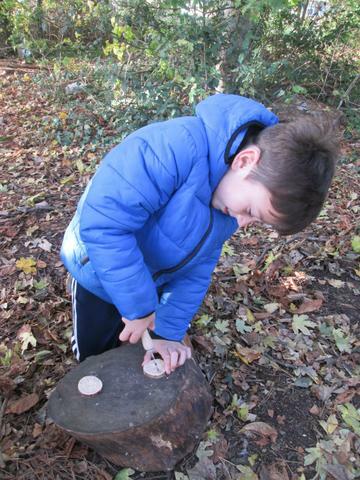 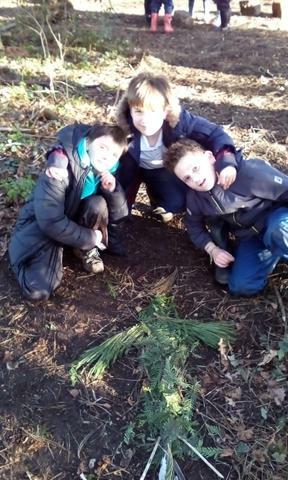 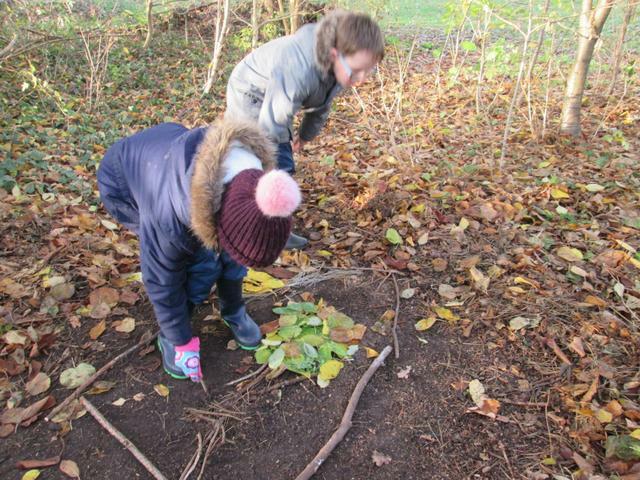 Forest School Group 2 enjoyed their last Forest School session on Monday 26th November. 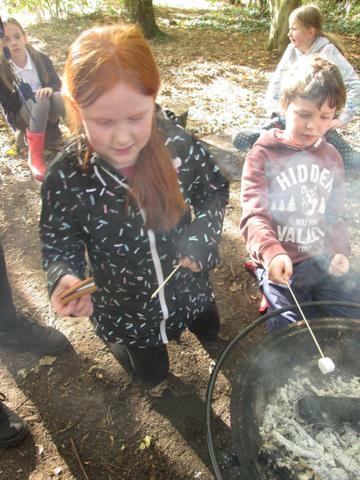 They loved toasting marshmallows on the campfire to make delicious s’mores. 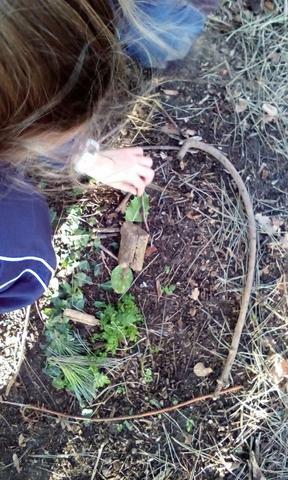 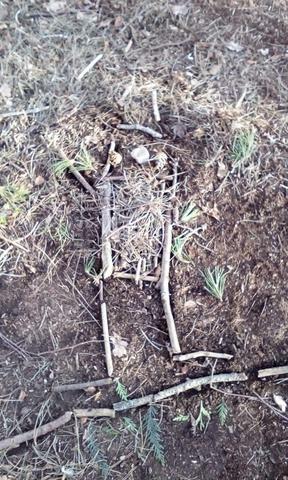 They also created pictures using natural materials. 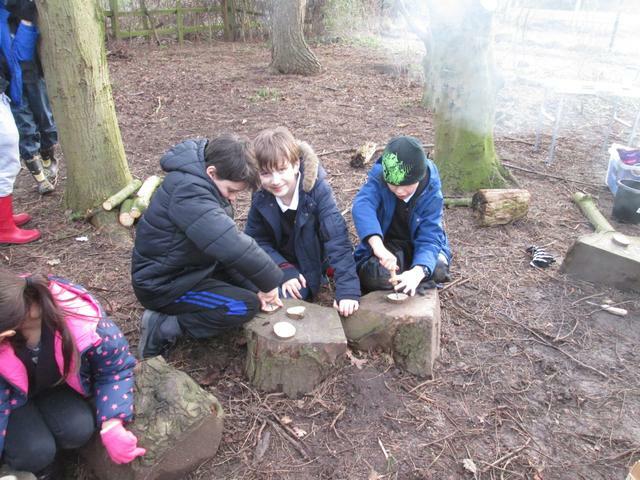 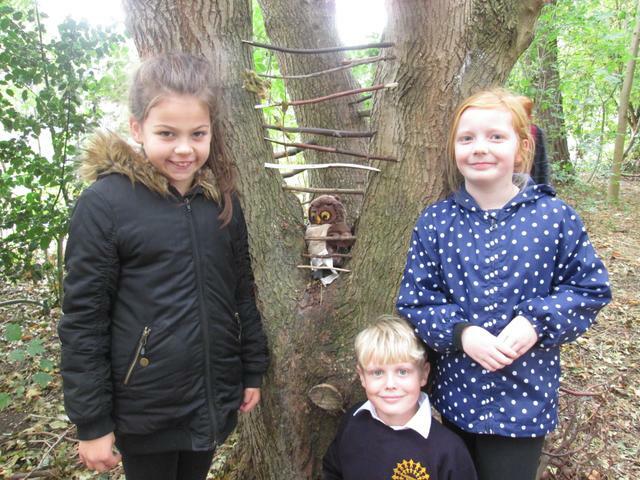 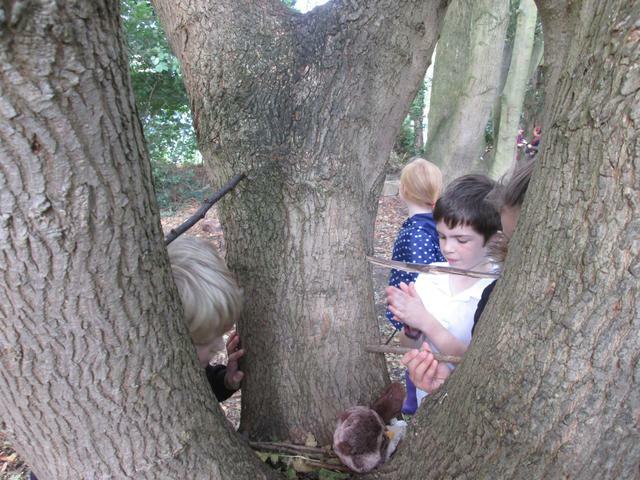 4CF Group 2 enjoyed Forest School on Monday. 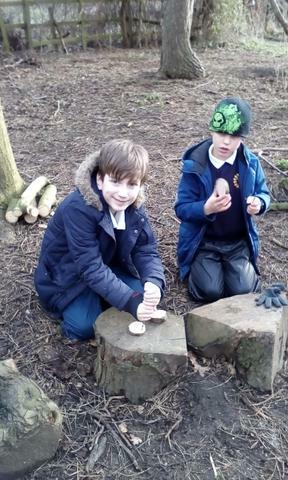 They finished their medals using sheath knives. 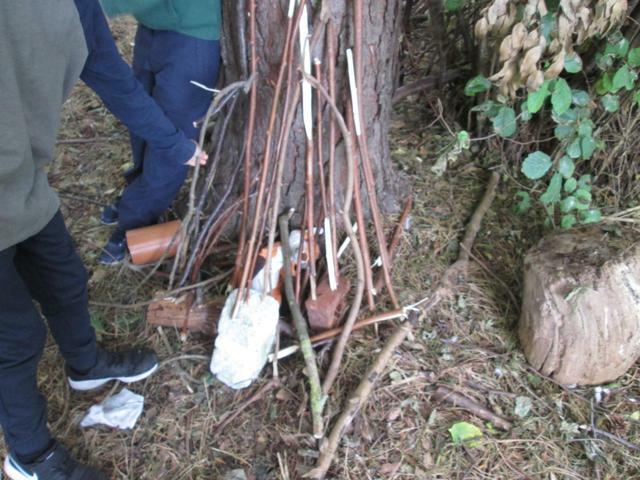 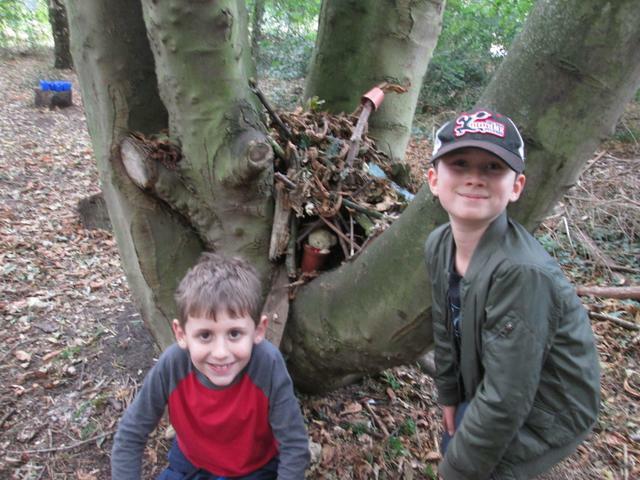 They also created animal shelters in the copse too. 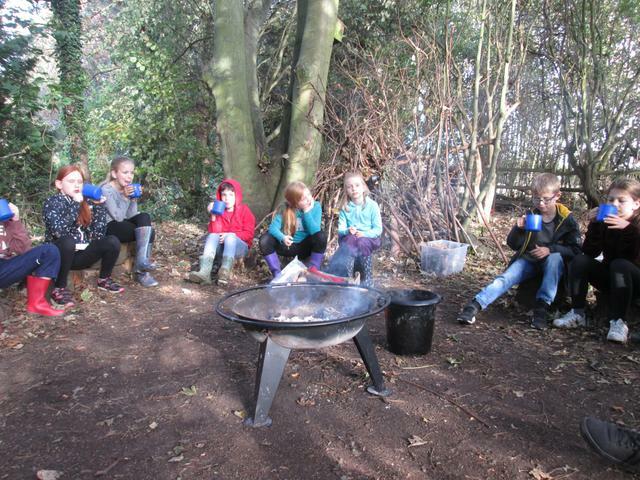 It was very cold on Monday afternoon, so the hot chocolate was well needed to warm everyone up! 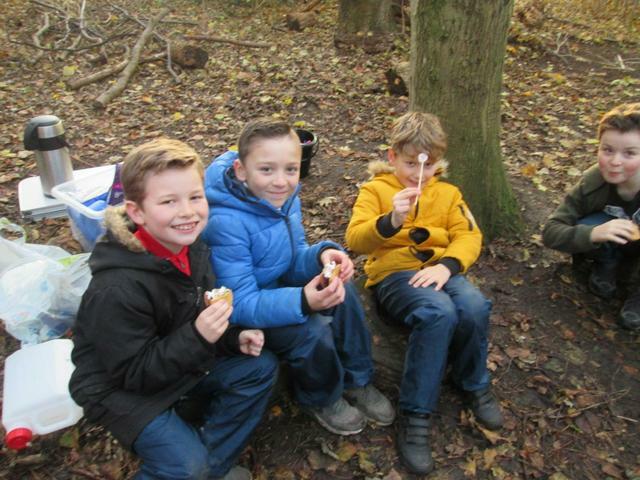 4CF Group 2 enjoyed their first Forest School session on Monday. 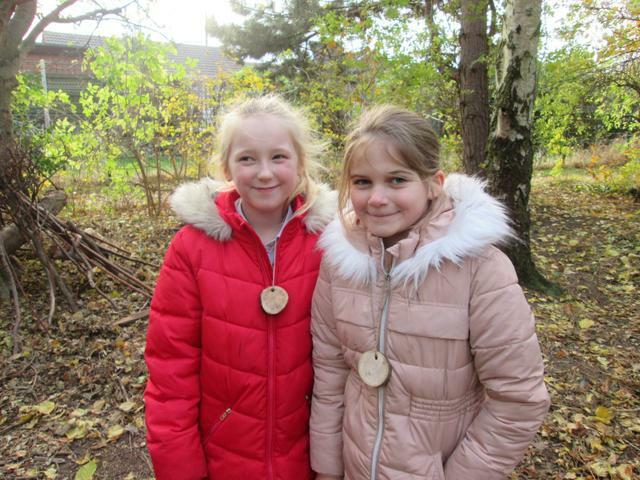 They learned how to use a bow saw and hand-drills to create medals out of wood. 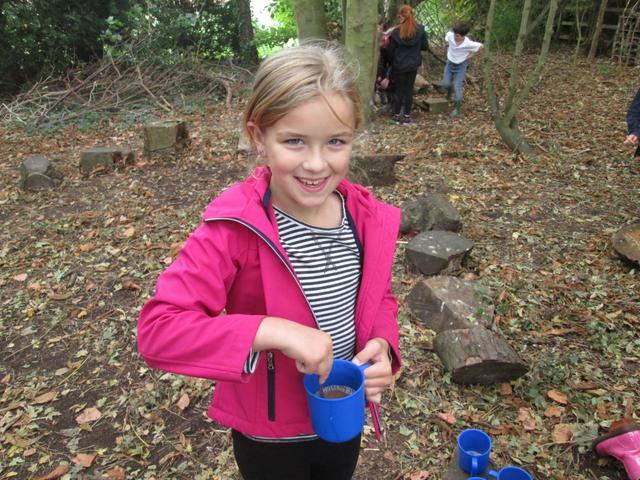 They also liked drinking hot chocolate! 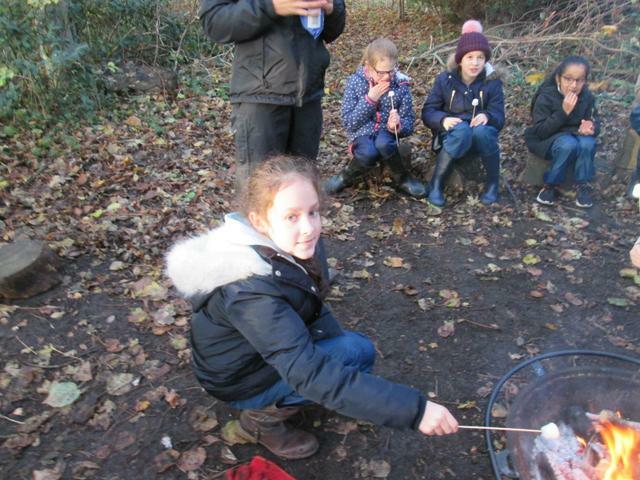 Year 4 enjoyed learning how to build a fire and toasted marshmallows to make s’mores! 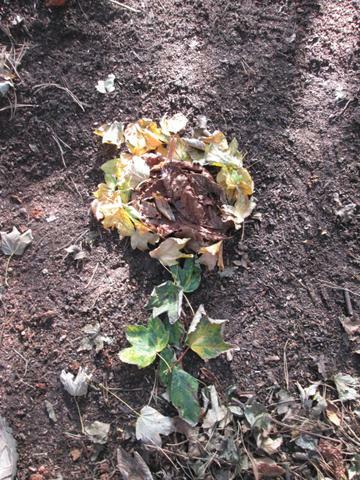 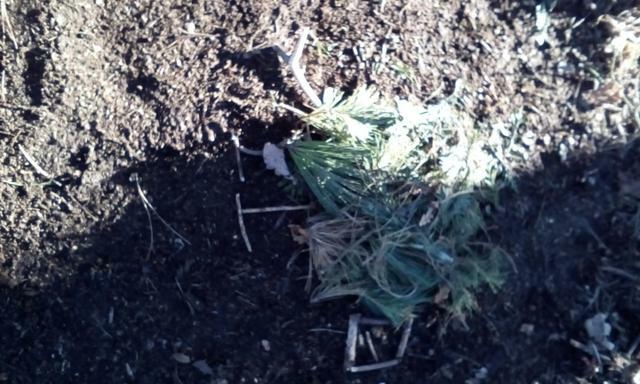 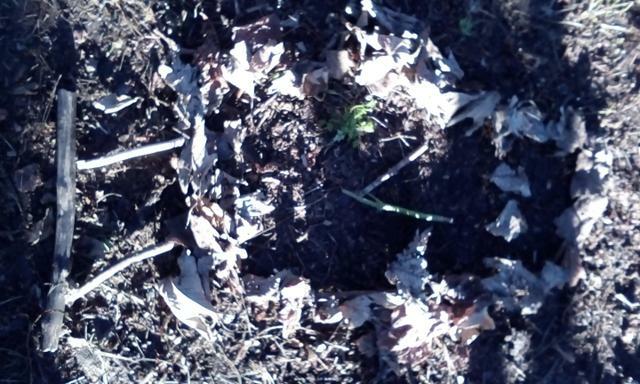 They also created some artistic natural material pictures. 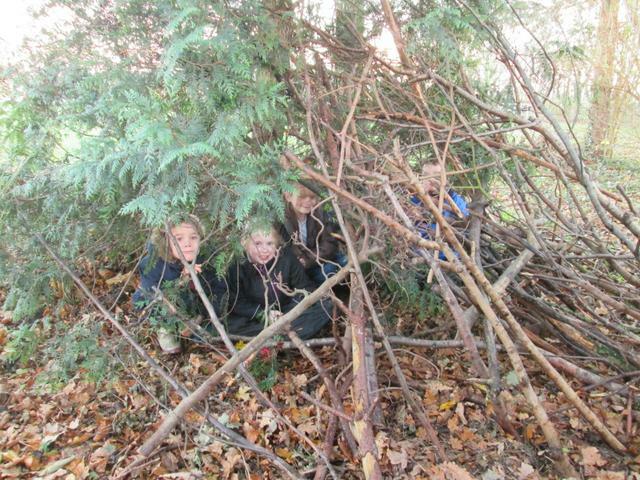 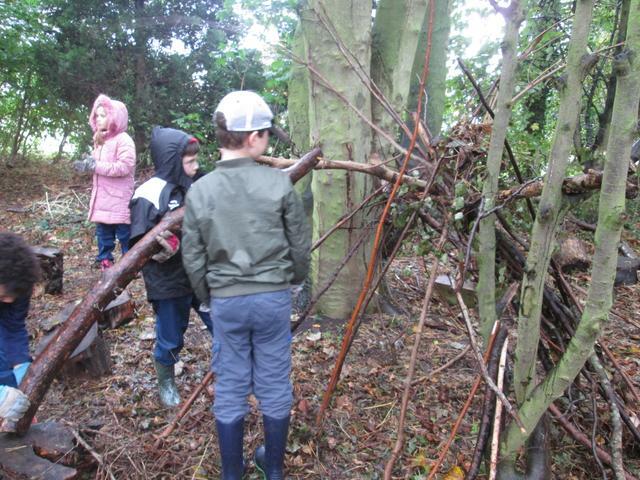 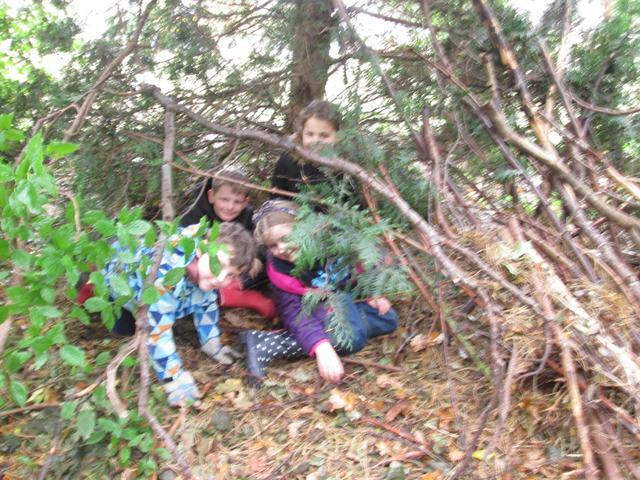 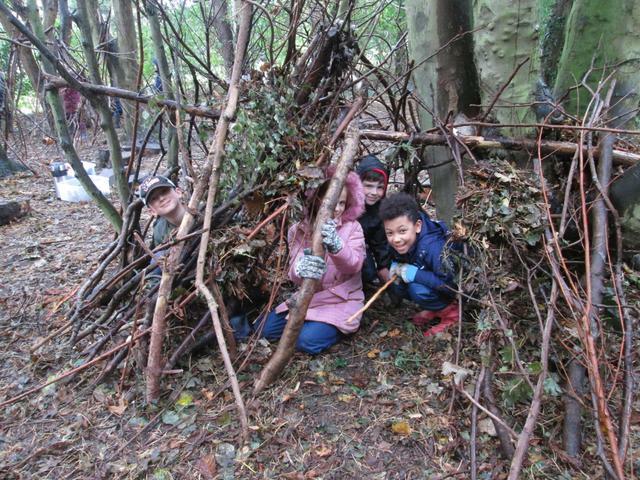 Year 4 Forest School children enjoyed building shelters and managed to fit their whole team inside before it started pouring! 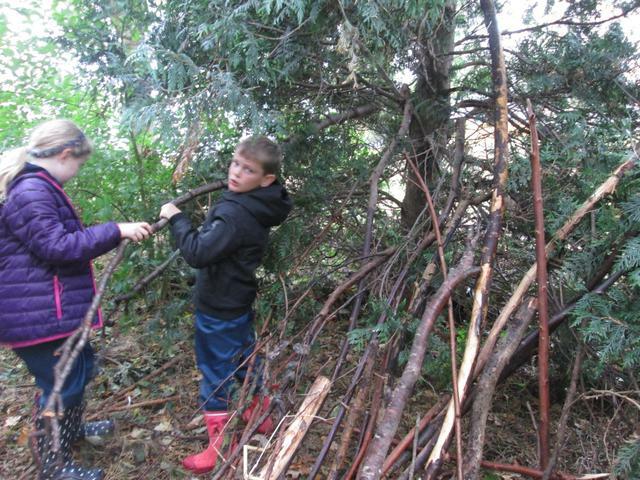 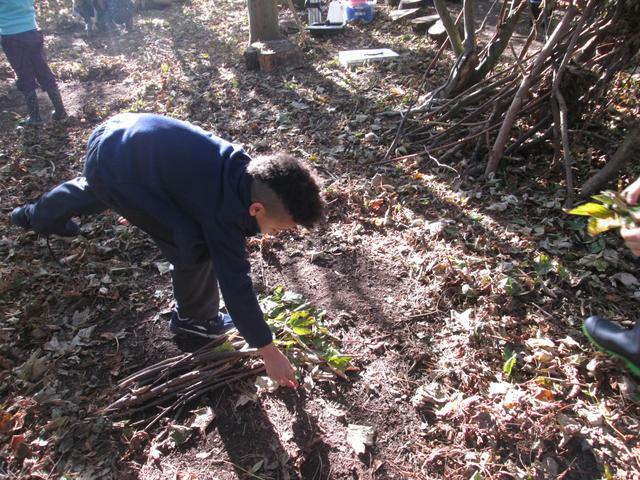 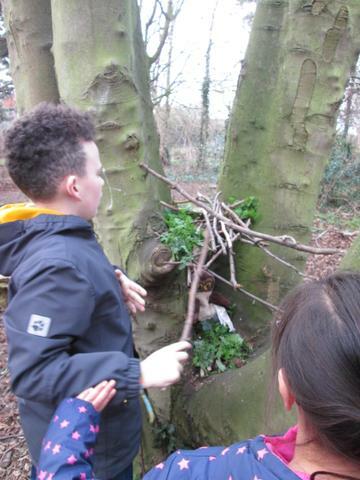 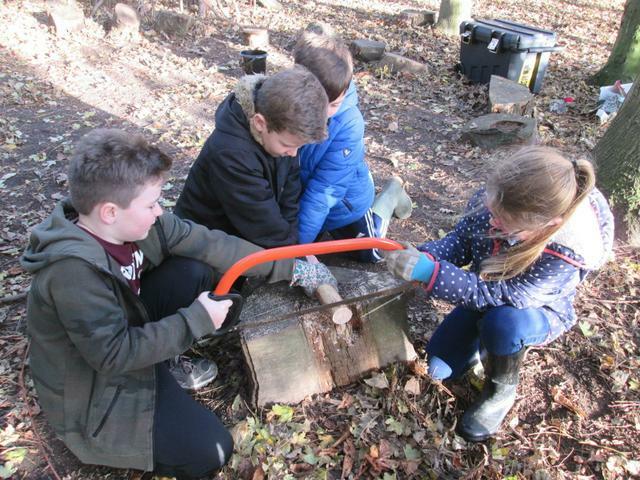 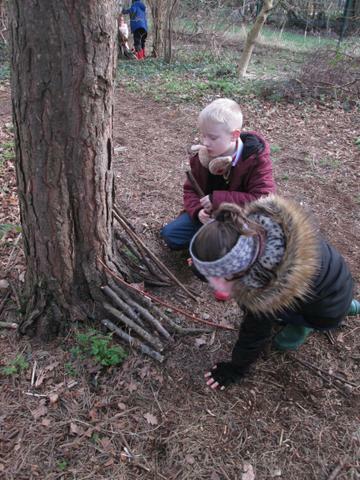 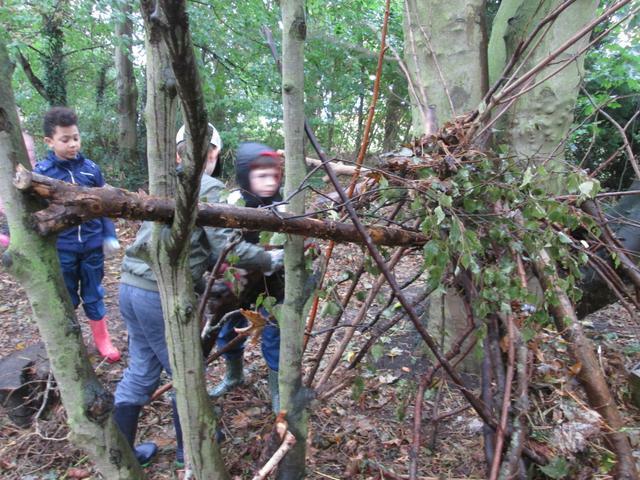 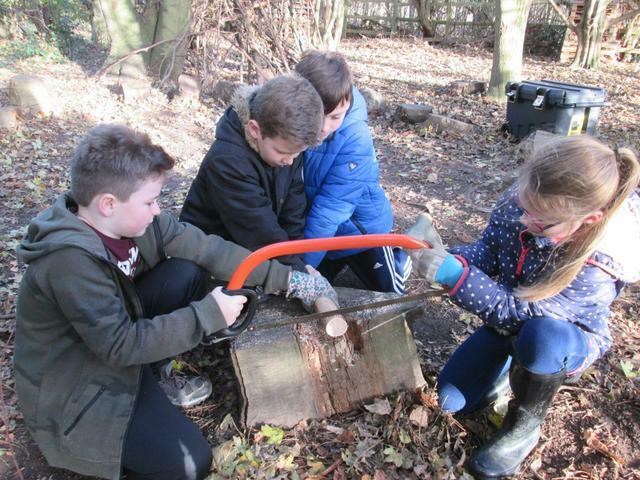 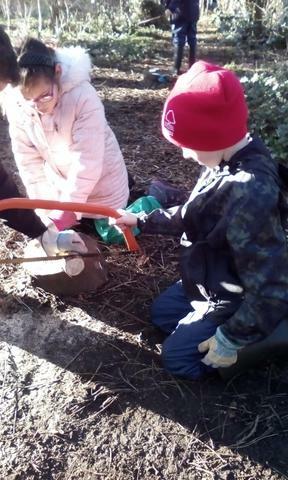 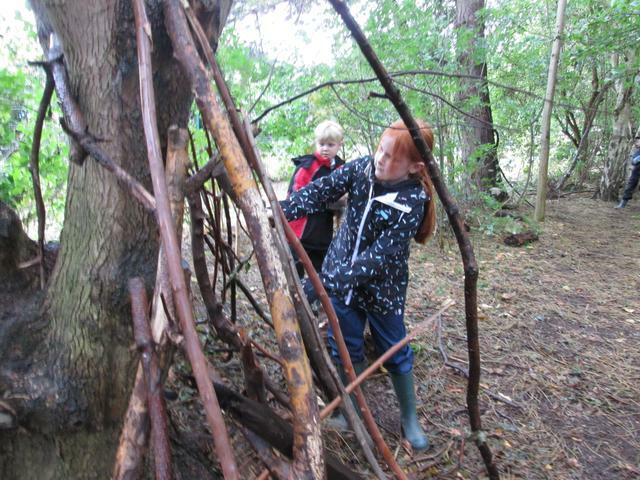 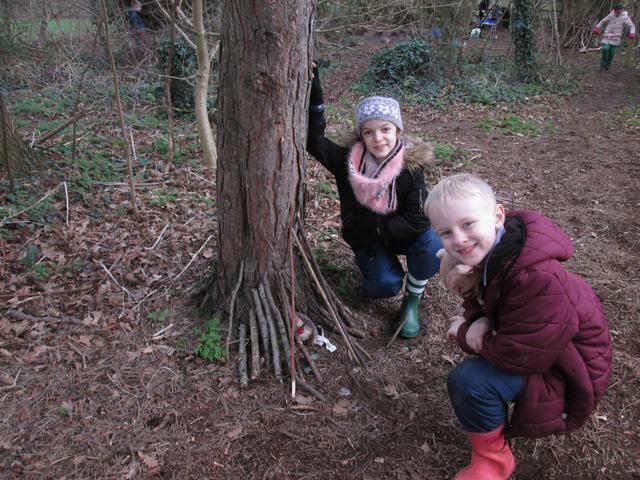 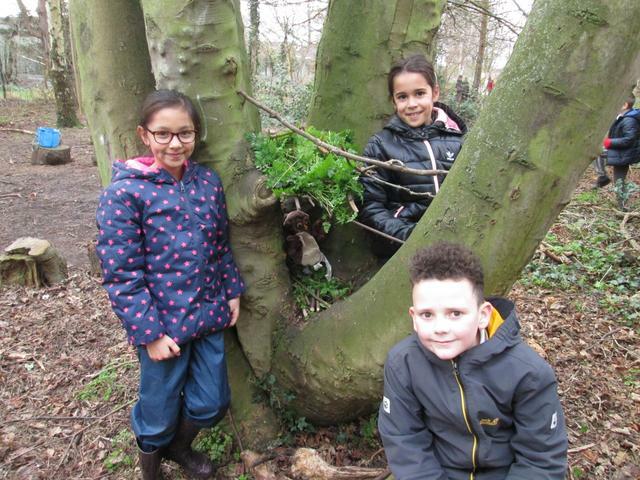 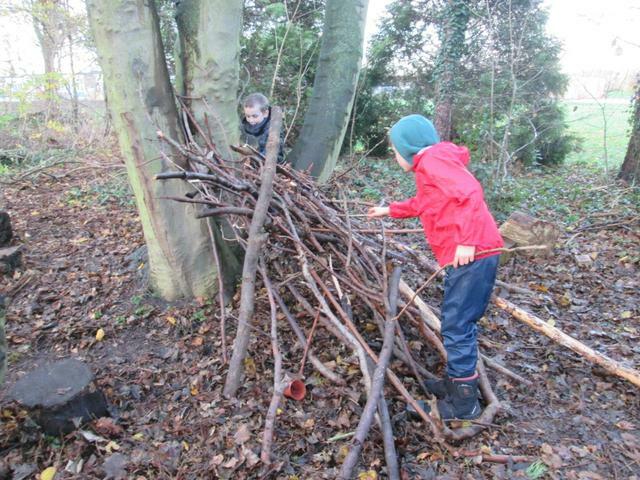 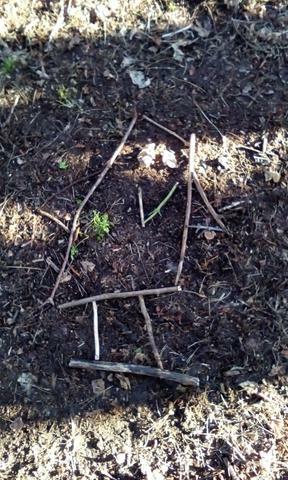 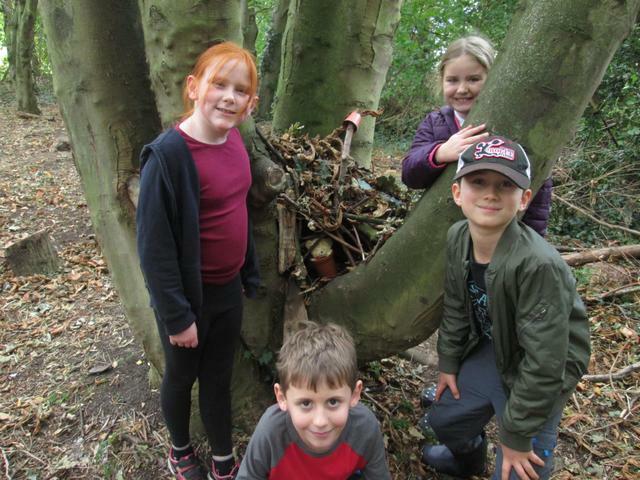 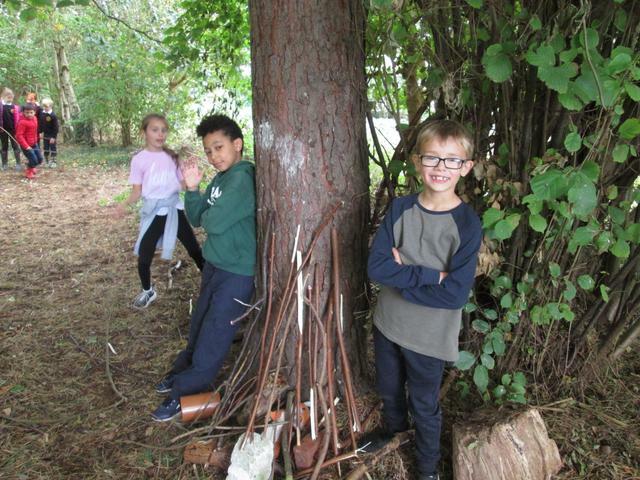 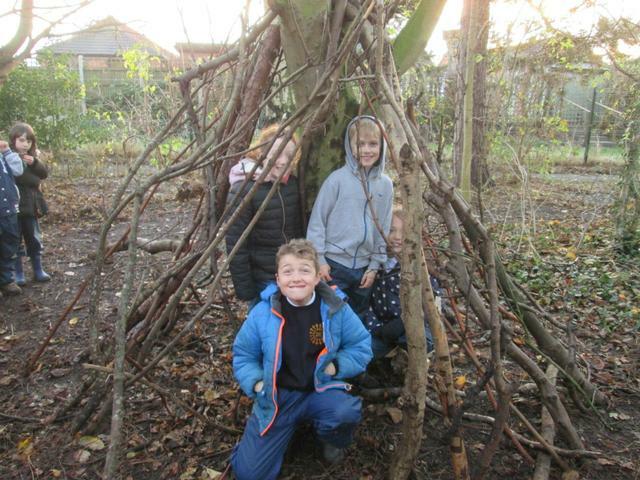 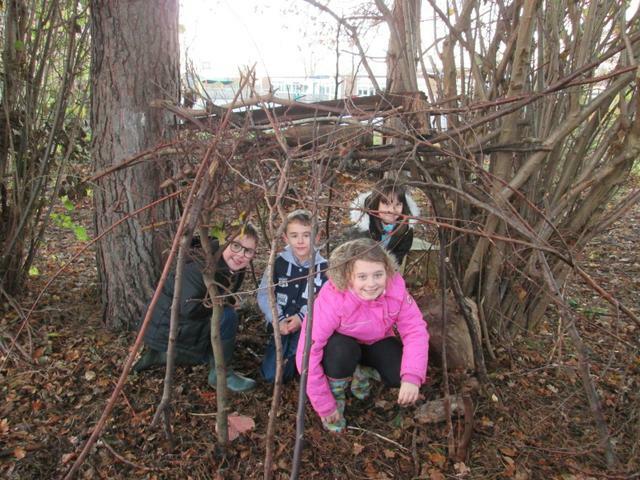 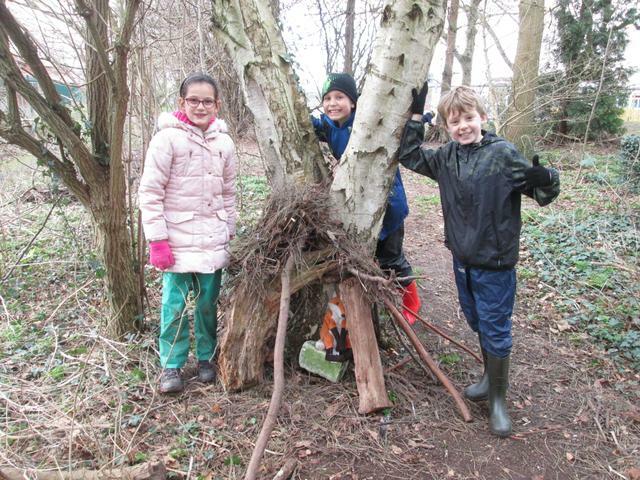 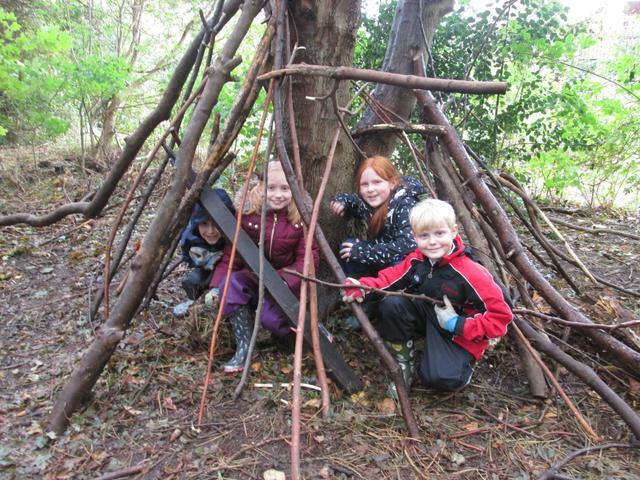 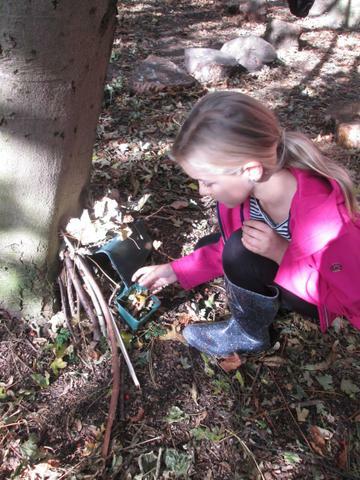 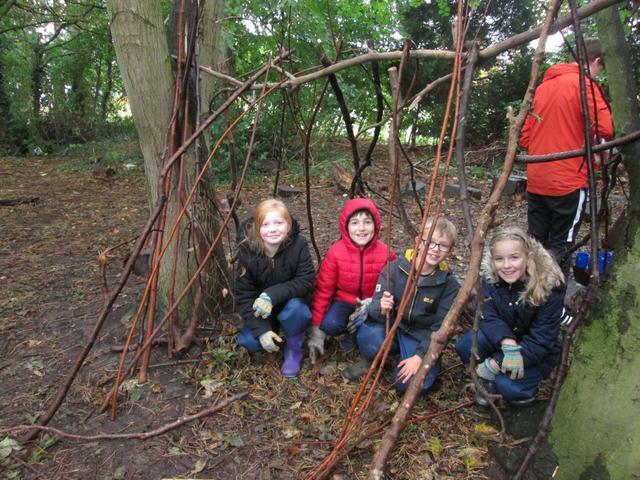 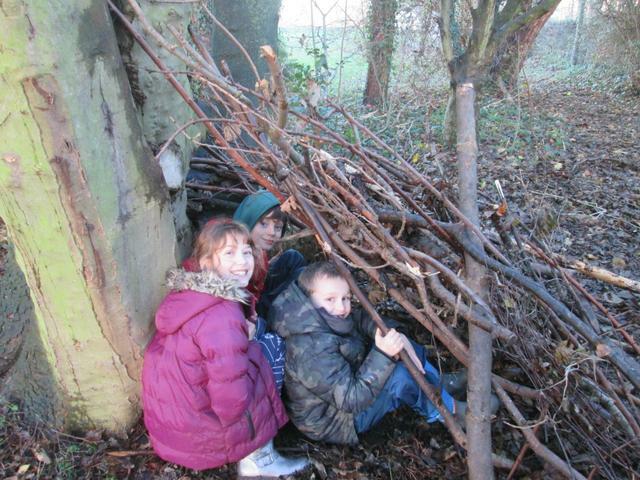 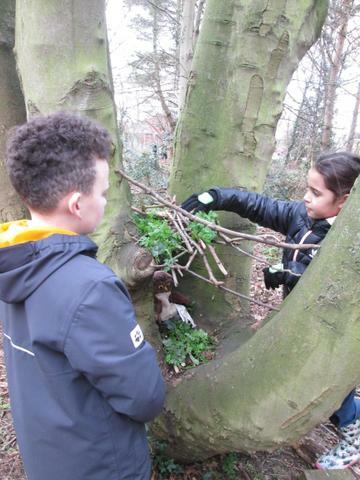 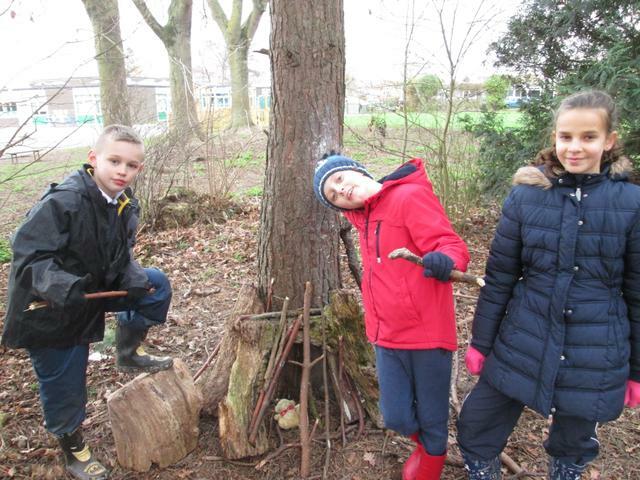 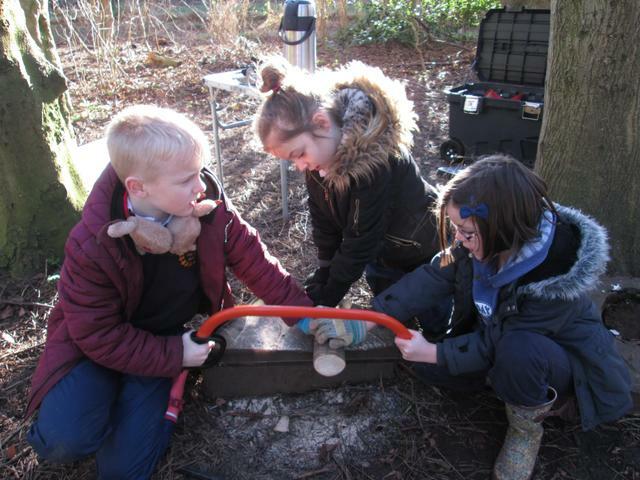 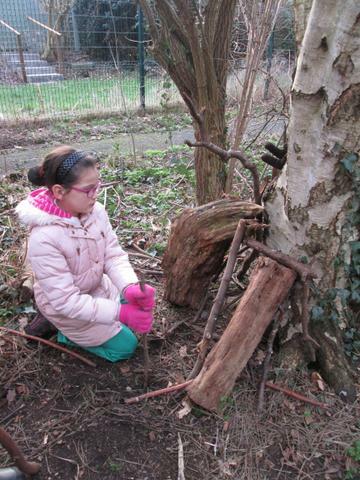 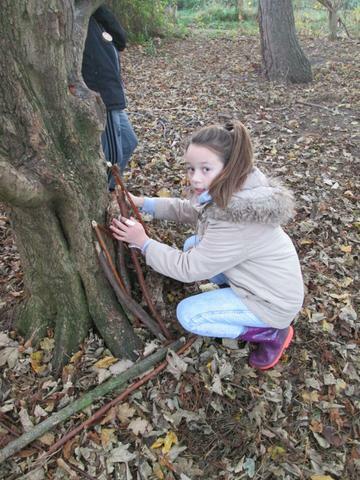 Year 4 Forest School children enjoyed building animal shelters and making hot chocolate.